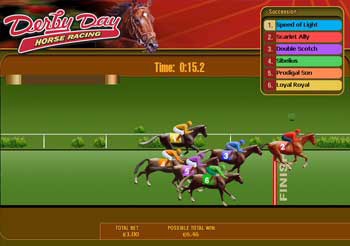 Virtual Horse Racing. Check form, weather & track conditions. Pick your horse and then place your bets (Winner, Exacta, Place, Show and Pick IV-V). Watch the race and celebrate your win! Play Derby Day with your 400% sign up bonus!